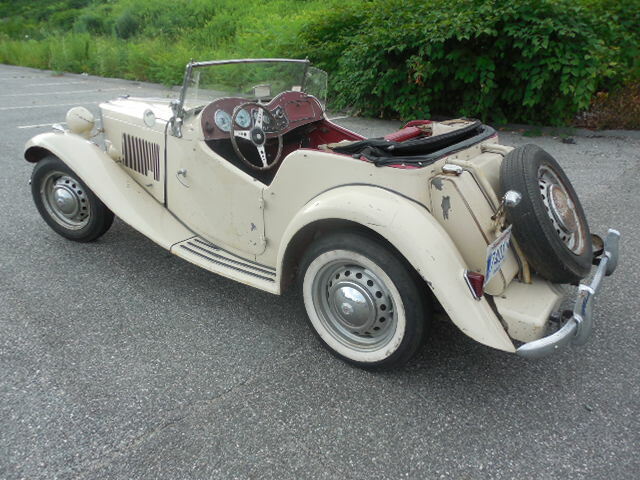 The MG T-series introduced cool handling convertibles to a generation of US servicemen during WWII and many of them found their way back to the states after the war. The MG TD was sold from 1950-1953 as an improvement over MG's (Morris Garage) previous generation TC and it featured such novel items as illuminated gauges and rack-and-pinion steering, but this time the bulk were sold new in the USA. 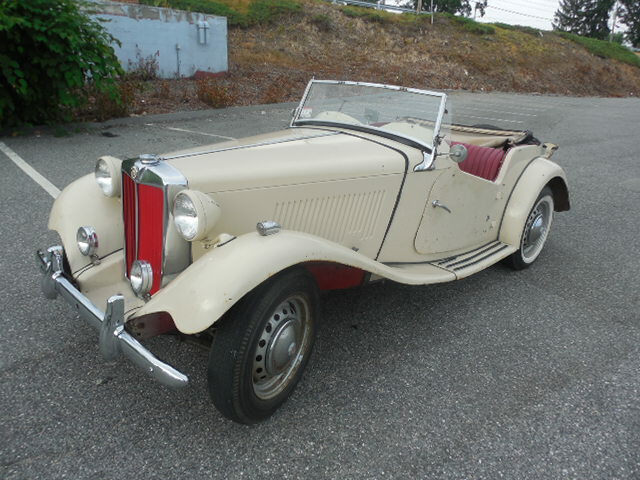 Find this 1952 MG TD for sale in Agawam, MA currently bidding on ebay for $5,377 with 2 days to go. The ad is classic CAPTAIN CAPSLOCK rambling, but the seller does include a surprisingly large amount of information when compared to a typical CAPSLOCKINSON's sufferer. Now the question is: restore, or roll it as-is cosmetically? At this price, who cares? I'll take two!